The sign at the entrance for Mount Ever-Rest South on Westnedge Avenue in Kalamazoo. Drivers of the commercial strip on Westnedge Avenue might recognize the wooden sign at the entrance, which depicts a blue-and-white mountain and a setting or maybe a rising sun. The full name of the cemetery is Mount Ever-Rest Memorial Park South (Mount Ever-Rest North is on Drake Road). Jeff is a runner, and his route used to take him through the grounds of Ever-Rest South. He’s curious about its style and how it got the play-on-words name. We take a walk around the calm side, away from the busy street. What questions do you have about Southwest Michigan? “That’s a lovely view of the Jesus-walking-on-water pond, and here we are at the top of the hill,” he says as we stand near a stone pillar depicting Matthew, Mark, Luke and John of the Four Gospels. Mount Ever-Rest is different from other cemeteries because it has few upright headstones. 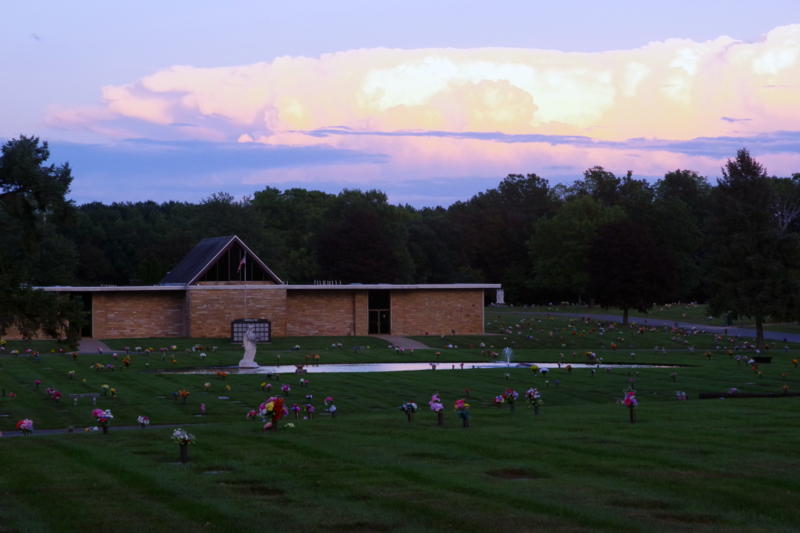 (A friend of Jeff’s calls it the “flat cemetery.”) With grave markers flush to the ground, it’s a vast lawn dotted with flowers and the occasional piece of religious art to break up the sections. Most of the grave markers at Mount Ever-Rest South are flat. “I’m wondering if, when they built this, they built this to be in antithesis to like the creepy, eerie, Halloween-y air of that you might get, that you might get at a traditional cemetery,” he says. 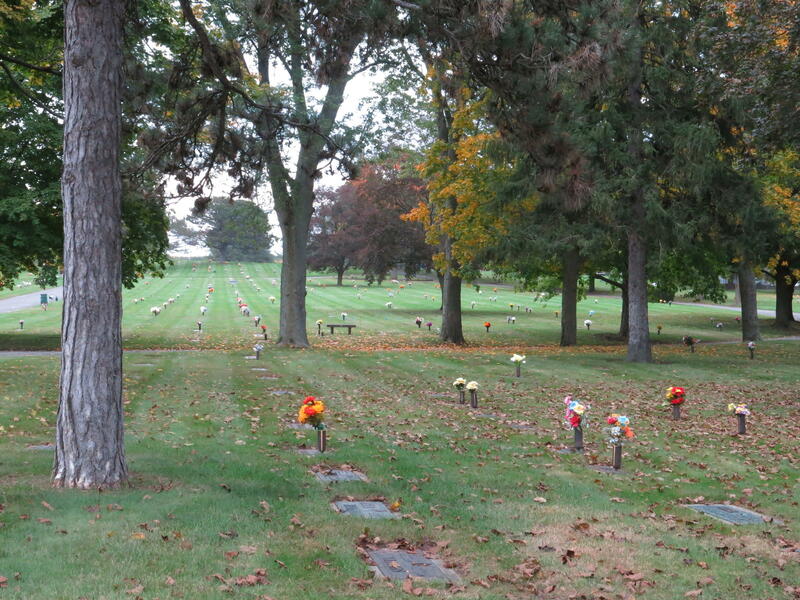 The City of Kalamazoo has a couple of those more traditional burial grounds. In the 1800s Americans embraced park-like cemeteries where visitors could enjoy nature and escape the city. Mountain Home, on West Main Street, was founded around 1850. “Recently when I was doing a tour of Mountain Home, somebody was walking around and they said, ‘I feel like I’m walking around the streets of Kalamazoo,’ because so many of the names there are people that you know because they have streets named after them or buildings named after them,” Western Michigan University Regional History Curator Lynn Houghton says. Then there’s Riverside Cemetery on Gull Road. Houghton says it opened as a public cemetery in the 1860s. When Riverside and Mountain Home were founded, death played a different role in American life and culture. David Sloane is a professor at the University of Southern California and the author of the recent book Is The Cemetery Dead? “In the 19th century mid-Victorian, high-Victorian, death was part of the household. You would take a portrait of someone who had passed away and put it in your living room, you would take a lock of someone’s hair and hang it,” he says. But by the early 1900s, Americans were living longer. Increasingly they died at hospitals rather than their houses, and people held services at funeral homes. Sloane says those changes increasingly “obscured” death in everyday life. “It’s not surprising that we as a society would then develop a cemetery that reflected this less sentimental, less visible sense of death,” Sloane adds. That’s where memorial parks come in. In the 1910s a man named Hubert Eaton founded the first one, Forest Lawn in Glendale, California, in the Los Angeles area. Forest Lawn has a style - swaths of carefully tended grass, a few trees here and there - that Sloane has called "suburbanesque." "It really became popular in the first half of the 20th century when suburbanization was also becoming dramatically more popular," he says. Eaton envisioned a cemetery that played down melancholy and avoided reminders of death. Sloane says that came partly from Eaton’s Christian views. “He believed that we should celebrate that we’re going to pass away and move to heaven,” he says. Eaton discouraged the use of monuments. One memorial park enthusiast wrote that they evoked the “shortness of life.” And Sloane adds that Eaton saw flat markers as an equalizer. Sloane says memorial parks changed how Americans think about the cemetery landscape. “But within that, the values and the structures of that institution were very much conservative middle class values,” he says. Jeff Sarnacki wanted to know not just about the style of Mount Ever-Rest but about the name. We haven’t found a record from the founders that would explain it. A representative of StoneMor, the company that owns Mount Ever-Rest, says he doesn’t have an answer. But here’s a theory. 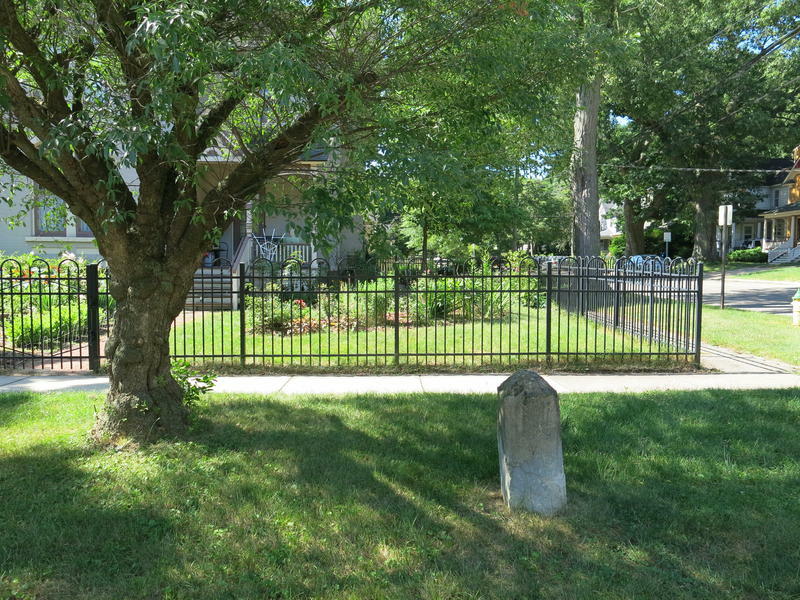 Author David Sloane says that Mount Ever-Rest would have needed to stand out in a community that already had cemeteries. “They can try and do it through a name, a name that is catchy, that people can grab onto,” he says. If Mount Ever-Rest the cemetery belongs to the less somber tradition of memorial parks, and the founders needed to market it, maybe they figured the pun would raise the business’s profile. As we walk around Mount Ever-Rest, Jeff Sarnacki says he’s heard of people having their cremated remains buried in the roots of a tree. “I think I’d want to do that,” he says. But, he adds, he probably wouldn’t go for a memorial park such as Mount Ever-Rest. “This whole cemetery probably isn’t my style,” he says. But he adds that the more traditional, headstone-filled graveyard doesn’t appeal to him either. “I would want to have my own thing,” he says. Some terms cannot help but evoke the past. Think "orphanage" or "asylum," or perhaps "poor house." If that sounds like something you would find in nineteenth-century England, you don’t have to go that far. 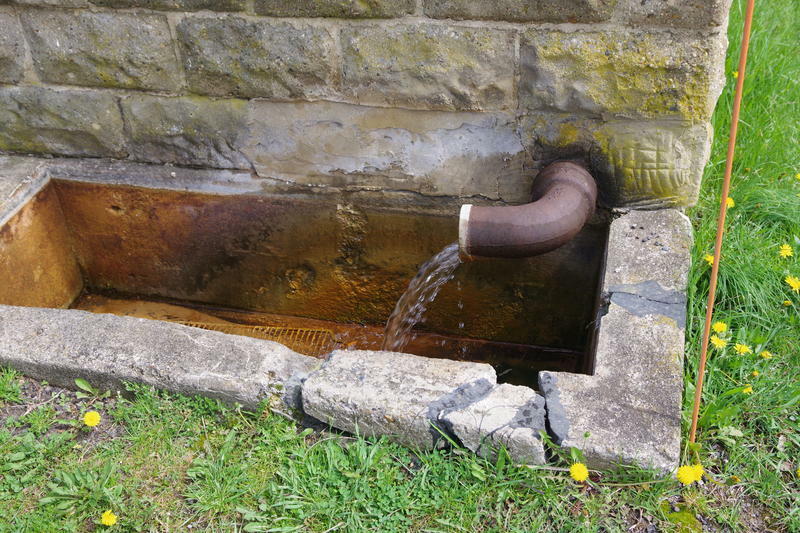 Many Michigan counties once had some kind of government-run residence for people in need. 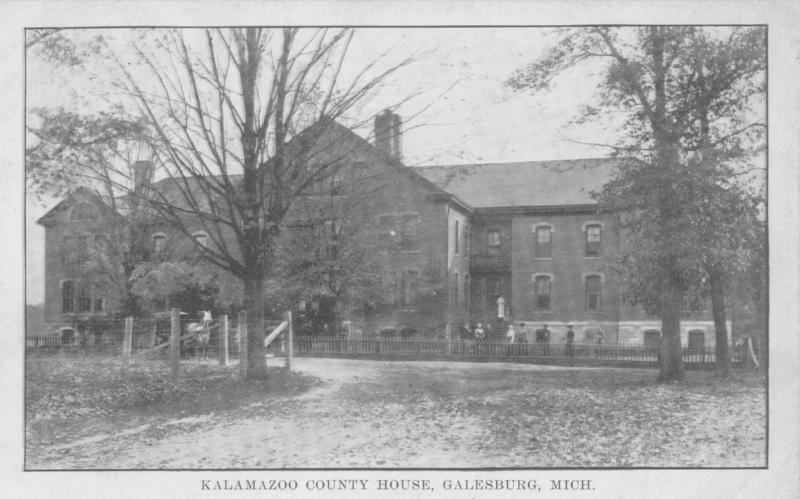 Kalamazoo had not just a poor house, but a “poor farm” on land that is now a county park.